Odds are you already know this, but after you’ve celebrated your arrival at a great business idea it’s time to write a winning business plan. A business plan basically formalizes your business goals, why it is reasonably believable that they can be obtained, and how you plan on reaching them. Unfortunately, knowing what a business plan is doesn’t necessarily prepare you to design and create an effective document. There are literally millions of online references to help write business plan components, such as executive summaries, marketing plans, and business projections, but a successful business plan is more than the sum of its parts. Writing a business plan involves a mix of your own unique personality, knowing the conventional ingredients, and avoiding the common mistakes that many aspiring entrepreneurs make when starting out. The first common mistake is the easiest to identify and remedy: the idea that you don’t need a business plan in order for your business to succeed. Some inexperienced business people think that a formal plan is only necessary when seeking investment, but that line of thinking is an act of self-sabotage. For starters, going through the process of writing a business plan requires you to pick your ideas apart and really understand the fundamental reality of your plan of action. A business plan lets you identify any potential pitfalls so that you can come up with clever ways of diverting future problems before they can hurt you. The better you understand the weakness of your ideas, the better you can work to overcome them (or find that they are insurmountable obstacles). 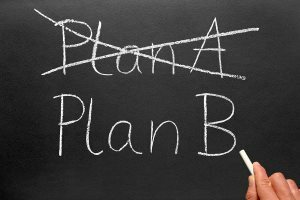 In the end, a business plan helps you order your ideas and saves you time and money in the implementation of your plan and in uncovering fatal flaws in your approach. And should your business plan find no substantial obstacles, you can then operate with a clear head and a conviction that your idea is a good one and can succeed. Secondly, many entrepreneurs seek to sell their ideas by preaching a long list of features of the how’s and why’s of a product or service. But the critical question most often overlooked in such lists is why? The answer to the “why” question is what will make customers feel they need your product or service more than any other substitute and can give them a reason to believe in, and become loyal to, your idea. Customers tend to care more about the primary mission behind an idea more than whether or not it one-ups all of the competition. Finally, as is everything in economics, it is extremely difficult to make predictions on the future of your business. And though creating potential scenarios is a good place to start when it comes to plotting your course, actual learning occurs when you remove yourself from the platonic vacuum of your mind and place yourself in the context of the real world (read: a competitive marketplace). Spend some time looking at similar businesses who have already achieved the goals that you are pursuing. What path did the businesses follow to get where they are? What exactly did they do to become successful? Once you’ve found the answers to these questions, you can begin to apply the concepts to your own plan. Keep your mind open and prepared to make creative leaps while looking beyond your own experiences for inspiration and novel ideas. Writing a business plan can feel as nothing more than putting to paper speculation and dreams of the future, but getting a hang of the strategies of those that have come before, keeping your thoughts based in the real world, and realizing that your business will not function in a vacuum can all help to keep your expectations realistic and your decisions rational.